The Breezy Elks Annual Fish Fry will be 5 to 7 p.m. Friday (April 6) at the Ontario Elks Lodge, 1150 W. Fourth St., Ontario. 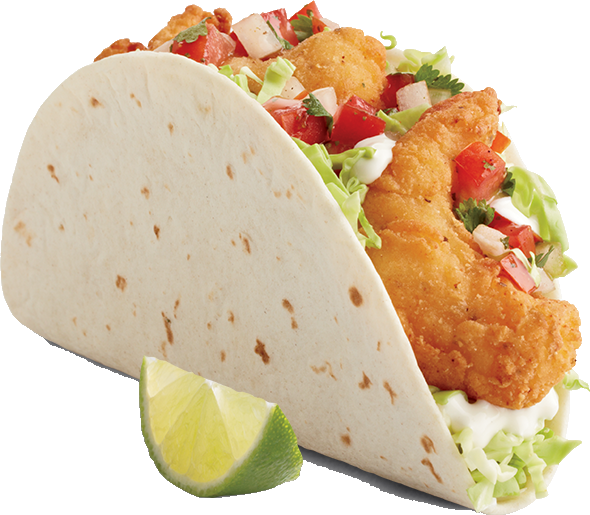 One-piece dinners are $5; two-piece dinners are $7; and three-piece dinners are $9. French fries and cole slaw are included. Tickets will be $1 more at the door. Dessert will also be available. Larry Stevens will provide entertainment. A limit of 400 tickets will be sold. All profits go back into the lodge for its various charities. Tickets are on sale at lodge office. Call 909-984-2777 for information. Market Broiler has partnered with Seafood for the Future and created a new sustainable seafood menu. 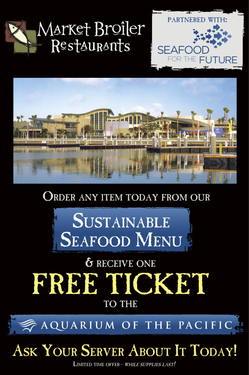 Order any item from the new sustainable seafood menu and you’ll receive a free ticket to the Aquarium of the Pacific. However, it’s a limited time offer and will end at the end of the year, if supplies last. 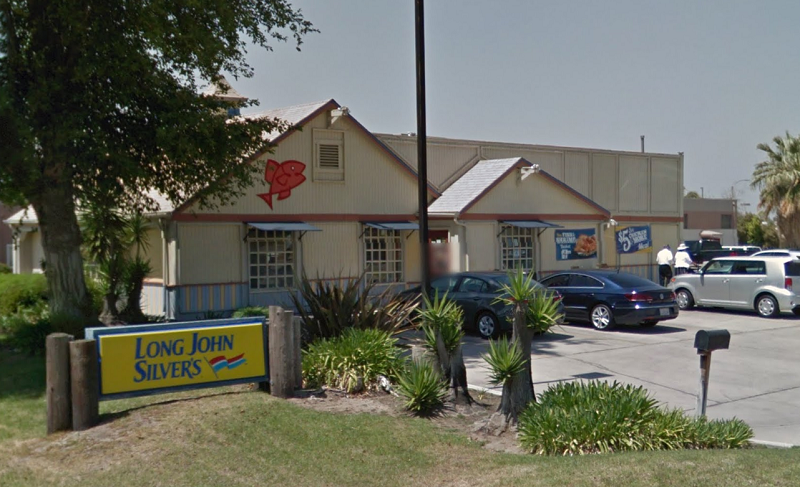 Market Broiler has Inland Empire locations in Ontario and Riverside. 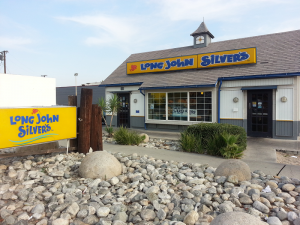 Just in time for meatless Fridays for lots of people, the sole San Bernardino Long John Silver’s, 145 E. Highland Ave., has reopened! The restaurant had been closed since last year and the location was wiped from the LJS website. The story, as told to me by a the wife of a guy who gets his haircut at the barbershop across the street, is that the restaurant closed after a kitchen fire and the reconstruction was held up when the contractor wasn’t being paid due a snafu with the insurance company. Anyway, Donna, I’m sure you’re glad that they have reopened, just in time to get fish and chips (but no chicken planks!) on Friday. Um…yeah…it’s been “closed for remodeling” for months now. However, the signage was still up, so I thought for a split second that they might actually be doing work inside the boarded-up restaurant. When I got home, I checked the restaurant’s website for nearby locations. The San Bernardino location was no longer listed. 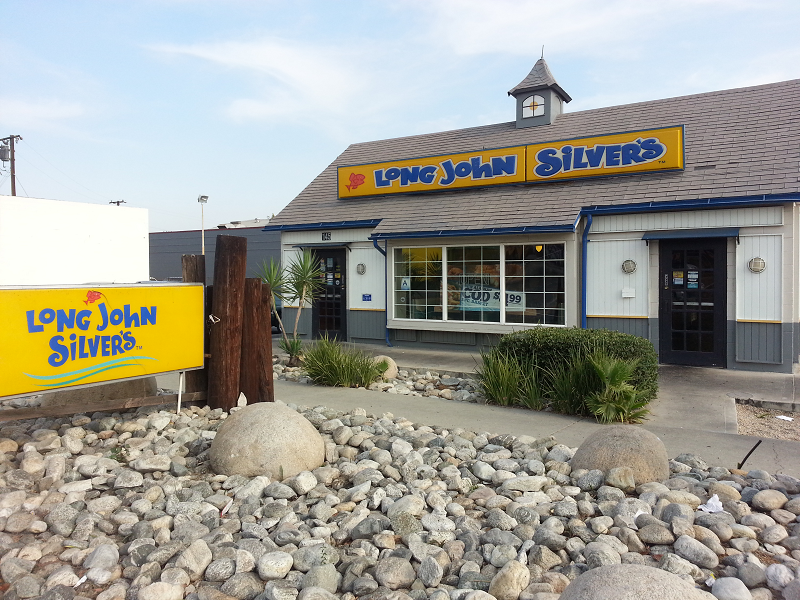 Through a Google search I found a couple of listings which indicate to me that they might be trying to sell the franchise and keep it as a Long John Silver’s, perhaps combined with a KFC. I think that’s a good move. For those of you who are now craving fried seafood, just down the street from the closed LJS is the H. Salt Fish & Chips at 1484 E. Highland Ave. They’ve been there for ages and the folks that work there are the best.